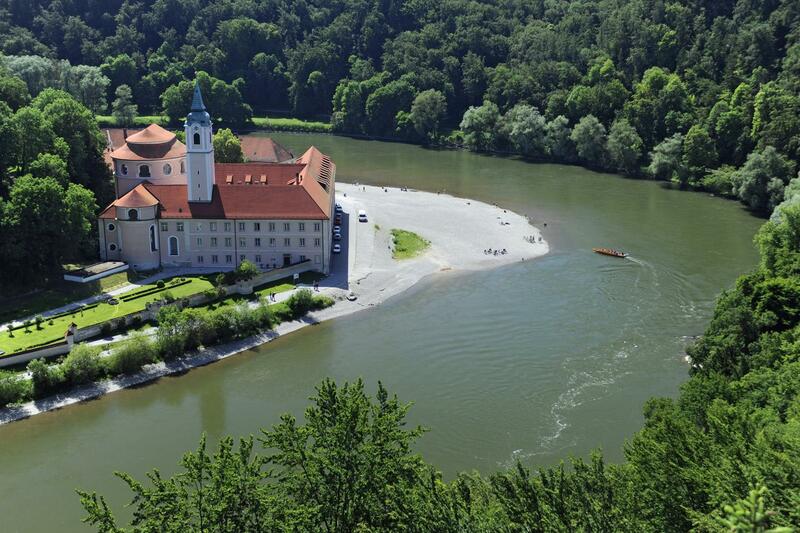 Enjoy superb cycling on this classic European cycle path, as you travel on two wheels from Donauwörth to the ‘Three River’ city of Passau. Reward yourself with a cold beer in medieval city where the Bavarian Purity Law was passed in 1516. 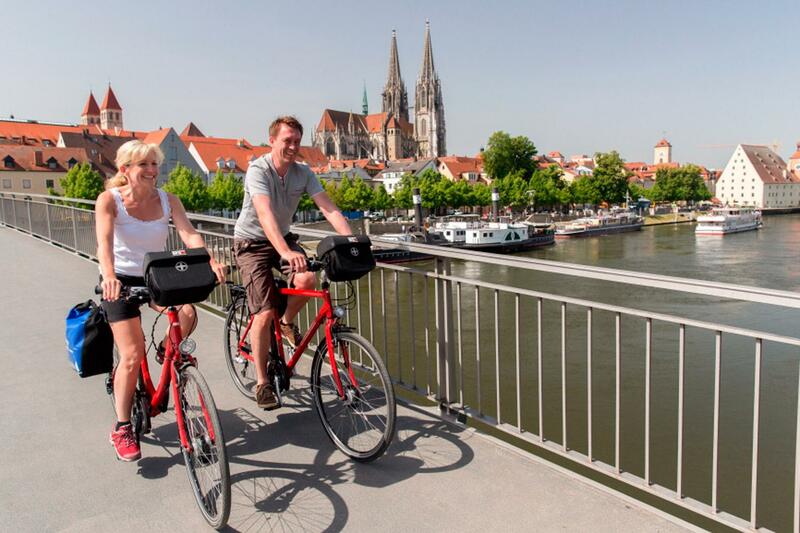 Cycle past Benedictine monasteries, castles, the narrow Danube Gap, as well as beautiful Regensburg, considered to be Germany’s best-preserved city. Historic Passau is a fitting end to your fantastic Bavarian cycling adventure. Your cycle tour on the Danube begins in the picture-postcard town of Donauwörth, situated at the confluence of the Danube and Wörlitz, amidst the rolling hills of the Swabian Alb. Wander around this pretty city, with its impressive multi-coloured townhouses. This small hotel is situated on the Danube, within easy walking distance of the town centre. Relax with a drink in front of the lounge bar’s open fire. 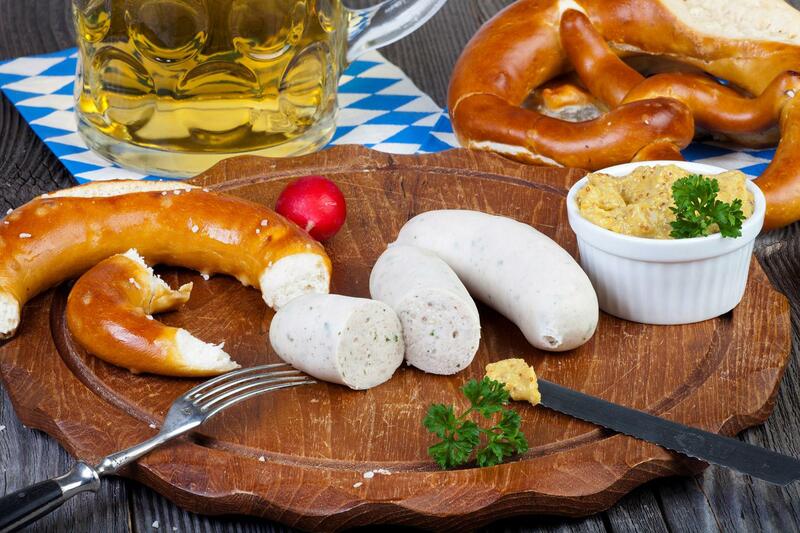 A hearty Bavarian breakfast will set you up for the day, as you jump into the saddle and set off towards the foothills of the Franconian Alb mountains. The path gently undulates as you cycle past the old town of Neuburg and into Ingolstadt. Originally a fortress city and dating from pre-806, Ingolstadt is to this day enclosed by a medieval defensive wall and boasts many Gothic and neo-classical buildings. The Art Hotel offers stylish rooms with a city-centre location. Why not dine at the Pepper Mill restaurant, which serves fresh, locally-sourced cuisine. Guests enjoy complimentary use of the sauna and solarium. Today you’ll find yourself cycling past fields of hops en route to Neustadt then Bad Gögging. Pass by the ruins of old castles and Roman settlements as you follow the river eastward. Reach a highlight of the trip—the ‘Danube Gap’— a stunning narrow stretch through the Franconian Jura mountains. At Weltenburg visit the famous Benedictine Monastery, then climb on board a boat and sail to Kelheim, another typically Bavarian town. This charming hotel has a homely feel, with antique furniture, and a small library/lounge where guests can relax. Before leaving Kelheim we recommend you visit the Hall of Liberation, as the panoramic views from the top should not be missed! 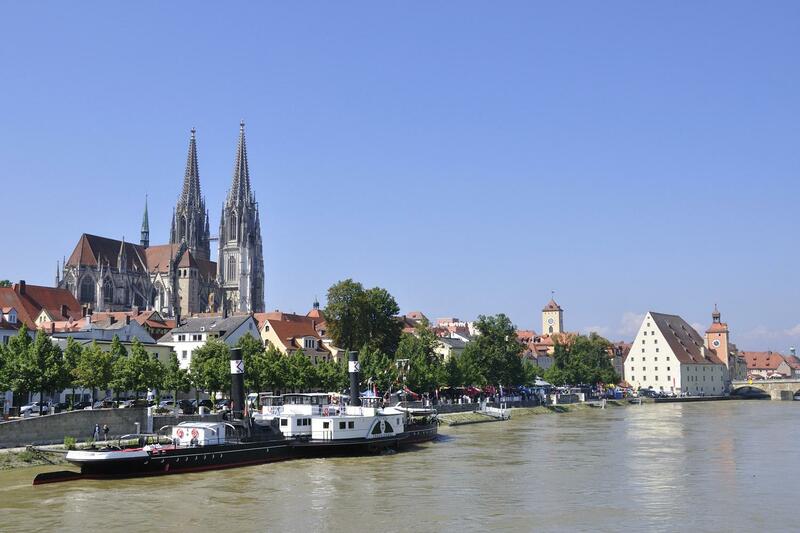 Pedal towards Regensburg, the most northerly point of the river. This UNESCO World Heritage City is considered by many to be Germany’s best-preserved. Relax in one of Regensburg’s charming cafés, beer gardens or restaurants and wander its atmospheric squares and narrow cobbled alleyways. This hotel prides itself on its ‘home away from home’ atmosphere. It is ideally located, nestled in the heart of the old town, in the pedestrian zone. 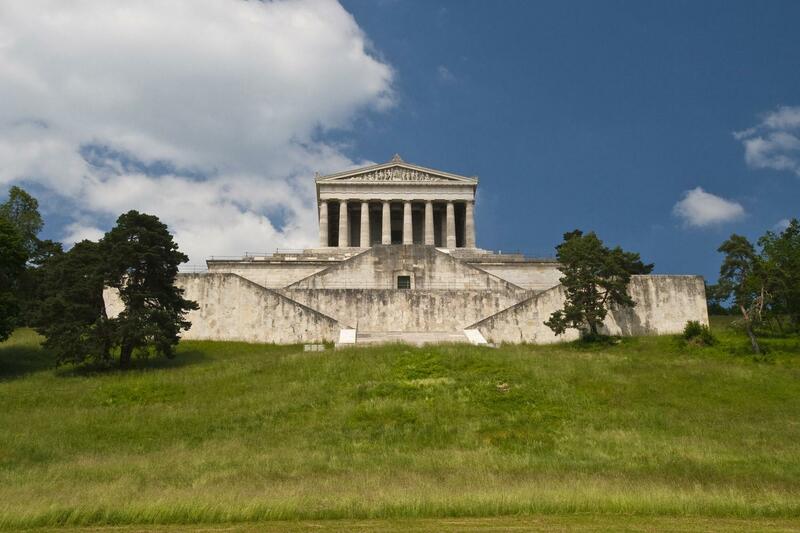 The cycle path leads you to the Bavarian market town of Donaustauf, where we recommend you stop to admire the Walhalla Temple. Commissioned by King Ludwig I to resemble the Parthenon in Athens, standing in front of this extravagant building you’ll enjoy expansive views across the Danube plains. Continue past Wörth Castle and enjoy flat and easy cycling as you cross the Gäuboden region to reach Straubing, a town with both Celtic and Roman roots which is dominated by a striking tower. Hotel Theresientor has 43 modern and comfortable rooms, and is located in the heart of the historic town centre. There is a neighbouring ‘Zum Geiss’ restaurant and beer garden. Guests have free use of the nearby gym which has a wellness sauna. 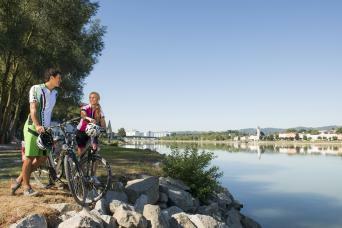 Continue your cycle along the Danube as you discover more of Bavaria's traditional towns and tranquil landscapes. Cycle through Bogen, an important Bavarian pilgrimage site. The path leads you on through Pfelling and Mariaposching to the Benedictine Abbey in Metten. 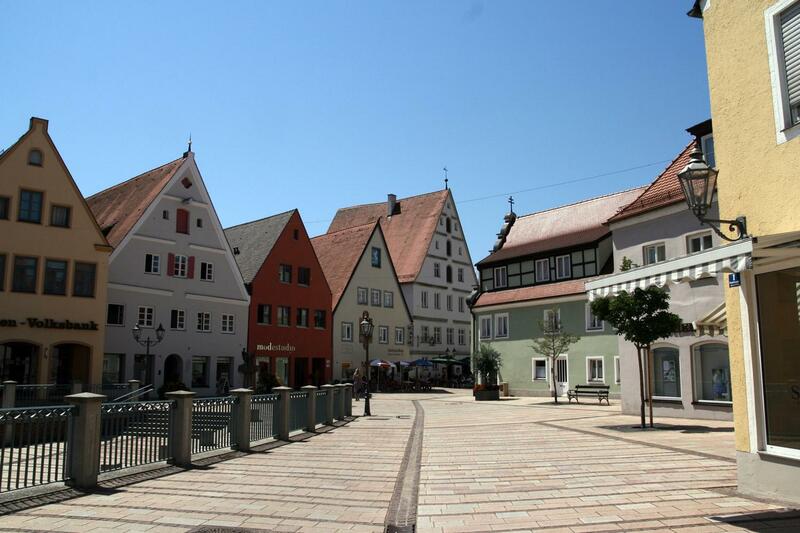 Arrive in the town of Deggendorf, which has a fascinating and distinct Gothic and Baroque style. Settle in for your overnight stay at the gateway to the Bavarian Forest. Hotel-Gasthof Höttl has a lovely wood-panelled restaurant and a beer garden—perfect for relaxing with a cold beer at the end of a day on the cycle path. 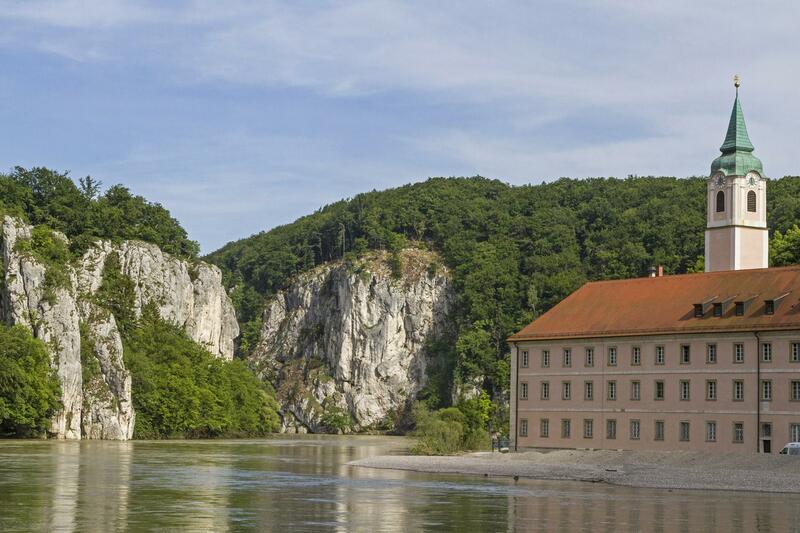 Follow the Danube for one last day as you pedal ever-closer to your final destination—Passau. Here it flows into the rivers Inn and Ilz, hence Passau is known as the ‘City of the Three Rivers’. 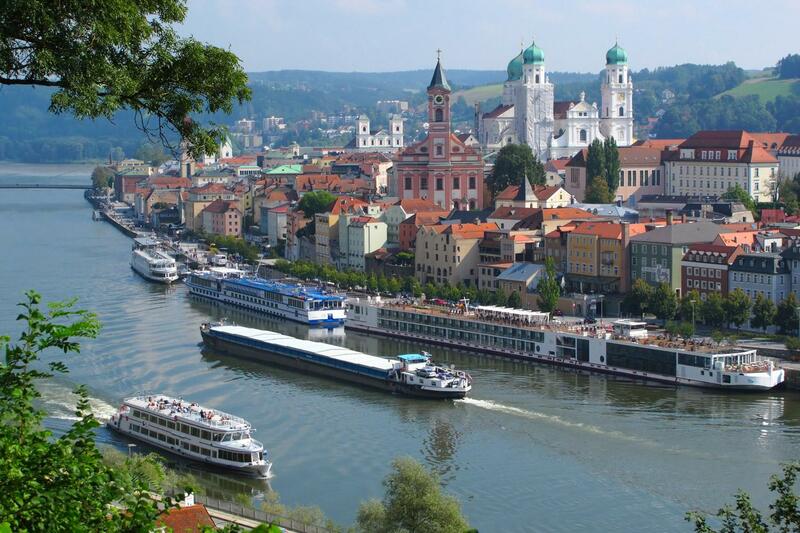 You can take a boat trip to explore Passau by water. Spend time wandering around the delightful old town with its narrow alleyways, bridges, squares and impressive Passau Castle. The centrally-located 4-star ‘Hotel White Rabbit’ has 108 comfortable rooms and paintings by Eastern Bavarian artist Otto Sammer adorn the walls. Your cycle tour along the Bavarian Danube comes to an end after breakfast. You may like to add on extra nights in Passau—please let us know and we’ll be happy to arrange this for you. 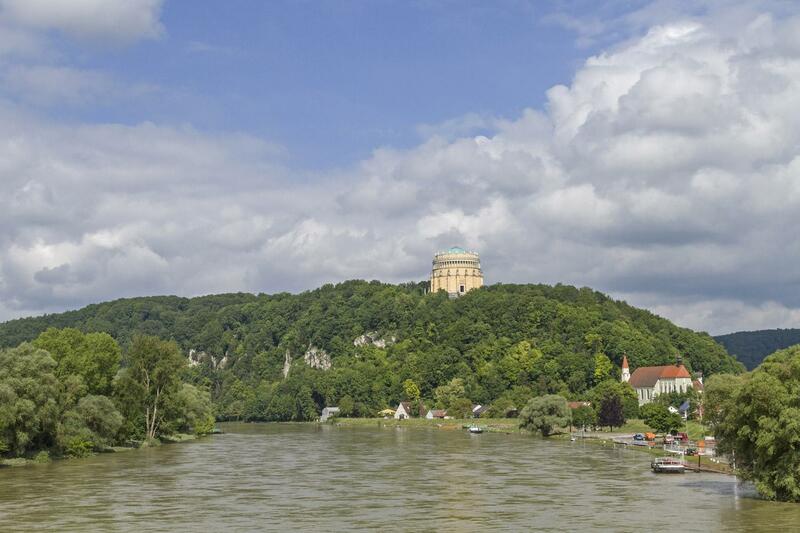 Or why not continue on the path with our Passau to Vienna or Passau to Budapest tours! You'll stay in lovely 3-star hotels and guesthouses during your trip. We carefully select small friendly hotels that offer great value, food and welcomes. The accommodation we normally use is detailed in the itinerary. This trip is available to solo cyclists and a supplement is payable as some costs are not shared. Single rooms are available and a single supplement is payable. This trip is available to start on any day from late March to late October. This cycle tour is graded easy to moderate. 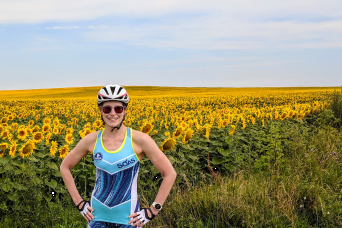 It is frequently on level paths, but there are also a few hilly sections along paved cycle paths, quiet side roads and some natural paths.The longest day is 65km on day 2, however most days are around 40-50km of cycling. You should enjoy a good level of fitness in order to make the most of your trip. This is a self-guided cycle tour. The vast majority of the cycle paths are clearly waymarked and we supply you with detailed maps and route notes so you will be able to easily find your way. All bike tours are unescorted. The mileages and approximations are distances of the recommended routes. Please be prepared by packing all necessary items, for example, proper rain gear (jacket and pants), sun hat, sunscreen and proper sport shoes. Travel to and from Constance is not included in the tour price and must be arranged on your own. Munich Airport is the closest large airport to Donauwörth, and direct flights from the UK are available with easyJet, British Airways or Lufthansa, and within Germany with Air Berlin. Donauwörth is an easy approx. 1h30 direct train journey from Munich’s main train station (see Deutsche Bahn for timetables). Alternatively, you can fly into Stuttgart and take a train (approx. 3 hrs, indirect) to Donauwörth. Passau has direct train connections to the following airports: Linz (1h30), Salzburg (2h45), Munich (2h30) and Vienna (3h30). The train stations in the airports are well sign-posted. It is an approx. 45 mins train journey from Munich Airport to the city centre, then another 1h30 by train to Donauwörth. For train details from Passau to the various convenient airports, please see above. Take the Eurotunnel from Folkestone to Calais (approx. 35 minutes) and then drive to Donauwörth (approx. 8h30). From Passau to Calais it is an approx. 2h45 drive. A detailed information pack and maps. This cycle tour is graded easy to moderate. It is frequently on level paths, but there are also a few hilly sections along paved cycle paths, quiet side roads and some natural paths. The longest day is 65km on day 2, however most days are around 40-50km of cycling. You should enjoy a good level of fitness in order to make the most of your trip. If arriving by train, then the train stations in the airports are well sign-posted. We offer a booking service for tickets from German rail (Deutsche Bahn) in the UK before you leave. More information can be found at www.bahn.co.uk. If you are planning to drive from the UK to Donauwoerth, take the Eurotunnel from Folkestone to Calais (approx. 35 minutes) and then drive to the start of the tour (approx. 8 h30). From Passau to Calais it is an approx. 8h45 drive. We can provide comfortable touring bike hire for your trip. Choose from bikes with 7/24 gears or even an E-bike. Schedule did not allow enough time to take advantage of the featured sites. The 65 km leg from Donauwoerth to Ingolstadt was significantly off the canal with big hills and rough unsurfaced roads. We wanted to tour the Neurburg castle but never got there due to wife had food problem (vomiting) and weakness associated with hills and rough roads. it took about 5 hours to get half way to Neuburg and we would not have been able to complete the trip to Ingoldstadt let alone tour the castle. Radweg was a great help in rescuing our bikes and transporting them to Kelheim where we resumed our biking. Due to scheduling, we couldn't get the bikes back in Ingolstadt. The wife recovered there and was fine for the rest of the trip. The last 65km let to Passau was a breeze along the canal and we completed that in less than 4 hours. We suggest starting this trip in Neuburg. THis allows more time to tour Ingolstadt and Nueburg castle. hmmm! Where is my next Macs Adventure? I had been reading about biking along the Danube for years. When the opportunity to go in May 2018, we decided to use Macs Adventures. I contacted several companies, but the prompt and personal response from Macs felt solid. Craig, our rep, worked with us through many questions and co-ordinating with me and friends from Alaska. He helped us schedule the Bavarian Danube and Passau to Vienna in a time frame that had tight constraints on both ends. All of the information from Macs was easy to decipher and use. As for the trip, it was fabulous. We hiked for 6 days on the Bavarian Danube and 6 days from Passau to Vienna. As it turns out it would have been nice to have u days for the Passau to Vienna leg with 7 days of biking and a layover day in the middle. 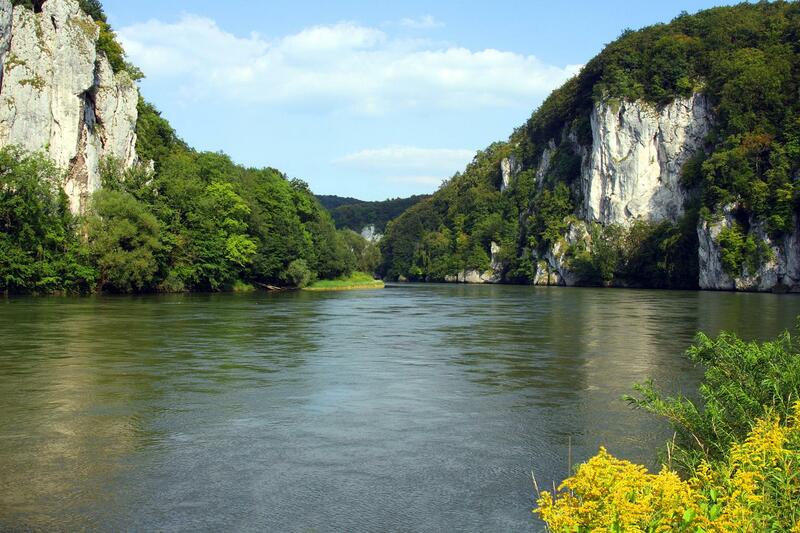 The Bavarian Danube was delightful because we road through varied terrain. Only on the first day we're there hills of significance. We road through lovely small villages, along the river, through forests and along fields with corn, wheat, asparagus, and other plants. The blooming poppies were stunning. We planned an overnight in Regensburg, which turned out to be delightful. We arrived there on a holiday weekend with a large musics festival in progress. We then had two nights in Passau before the next leg. My only complaint was that the second night in Passau was away from the downtown area and near a hospital with lots of ambulances. However, it was very convenient to the bike pickup for the second leg. Passau to Vienna was a very different ride. The trail rarely leaves the river. There are lots of opportunities to stop and admire the many swans and other waterfowl. There are lots more people on the Passau to Vienna section along. The river flows through forested gorges, small towns, agricultural fields, and fabulous wine country. Biking into Vienna on a national holiday was interesting. The equipment was top quality. Small gathauses were better than big hotels. Breakfast was great. Use Macs ! Fabulous trip. Germany is amazing and this tour takes you to a few wonderful spots. The only downside is that the directions are horrible - not sure why in this day and age. Once you figure out that you can simply follow the directions of the Danube Bike Tour posted by the German government (they have amazing bike paths all with well-organized and labeled signage) you'll be all set! It's a lovely tour, mostly easy riding with great stops and places to see along the way. I highly recommend it to anyone. A fantastic route through small and beautiful towns. The route itself is very well signposted and fairly flat. I found a moderate understanding of German would be best as most people speak very little if any English. Also, be prepared for the Danube to flood in inclement weather and as such be ready to road cycle a little. Overall the Hotels are brilliant, the staff are very friendly, and as with most German places, it is immaculately clean. As a solo traveller, I had no issues and I'm already looking for another tour. More to Bavaria than beer! Landscape varied from farmland to forests to villages to cities, all the while following the river. Bike path surface also varied from dirt (and mud) to gravel to cobblestone to pavement. The bike path was well marked in some areas, poorly to unmarked in others; there were several places where we got off track and had to double back. There were two detours along the way due to flooding, one of which ended with no signage on how to get back to the path. Three things we found critical - signage, the tour company map, and a smart phone. You need all three. Sometimes signs were large and obvious, other times they were small and obstructed by a tree branch, sometimes it was merely a 2x2" sticker on a pole to signal the way. Although the tour company map listed castles along the way, there were no instructions on how to get to them and with one exception in Neuburg, no signage from the bike path. Rental bikes were solid but comfortable. Unfortunately a small metal burr on the seat adjuster shredded a hole in my riding crops the first day. The second day the chain guard snapped on my boyfriend's bike. Unlike the hiking tour we had in the Cinque Terre, the detailed maps and descriptions of what to do along each route were only supplied upon arrival at the first hotel, instead of well in advance sent to our home. We asked MacAdventures if we were missing detailed route information and were told we were given what they consider necessary before the trip, they didn't want to overload us with information. Seriously? Reading detailed route information for the first time having just arrived to a foreign country, suffering from jet lag, with a spotty internet connection as supplemental reference is NOT what we like. This caused us to miss two of the castles on the first day, had we had time to research in advance we could have mapped out how to get there. MacAdventures needs to change their policy to match that of their hiking tours - send the detailed maps in advance! Can't wait to do the Vienna - Budapest section next year! A well organised, stress free, relaxing week, lovely, friendly people, beautiful landscapes, reliable bikes! Weather was hot and sunny every day. Used lots of sunscreen. This is our second Danube cycling trip... It lives up to every expectation... A word of warning... Not a critism of the trip. Trip Advisor lets down a couple of times when it came to Restaurant recommendations.... Take some care and ask the people at the hotel. We had a great time on this trip and recommend to anyone who doesn't mind putting a little effort into vacationing. Unlike on a tour bus you get to take things in at your own pace by bike and explore. Only comment was that one or two of the hotels were stifling hot, but that was partially to be expected at the height of summer. 2 Australians enjoy a pefect ride. Great bikes, great travel notes and hints, excellent accommodation in beautiful places. Easy to follow and a lot of fun. Possible to do little detours if the place looked interesting. This 310 km cycle tour will appeal to leisure cyclists who like the idea of following the Danube through Bavarian landscapes, staying in medieval towns and the reward of hearty German food and world-renowned beer at the end of a day in the saddle. The cycling is mostly flat as you’d expect on riverside paths, with some minor ascents and descents to keep things interesting.